An industry leaders gathering, the conference is planned for May 7-9 in Chicago. If you’d like to speak, please take a minute to fill out the form here. 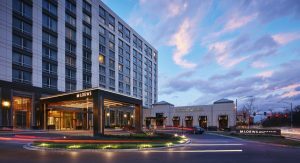 The Chicago event follows the highly successful Microgrid 2017, which drew more than 450 people, a capacity crowd, to Boston’s Park Plaza for three days in early November. The Boston event was the largest microgrid gathering to date, with nearly triple the audience of Microgrid Knowledge’s first conference, held in New York City in 2016. Reflecting Microgrid Knowledge’s readership, Microgrid 2018 is expected to draw the industry’s top leaders and decision-makers who are shaping the evolving microgrid market. A draft agenda is now posted on the Microgrid 2018 website. Microgrid 2018 participants will range from top industry leaders to first-time microgrid customers seeking product information. The event is expected to draw utilities, developers, institutions, engineering and consulting firms, government agencies and non-government organizations, critical mission facility operators, commercial real estate firms, energy service companies, equipment manufacturers, system integrators, control and data specialists, attorneys, financial specialists, innovators and software companies, contractors, builders, architects and planners. See details here if you want to speak at Microgrid 2018. For more information about the conference, see Microgrid 2018. Those interested in sponsoring the event, can contact Kevin Normandeau, publisher of Microgrid Knowledge and conference co-host: kevin@microgridknowledge.com, 508-259-8570. 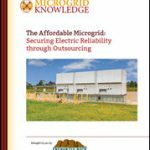 Or download the Microgrid 2018 prospectus. Microgrid Knowledge will release updates about the conference over the coming weeks in the Microgrid Knowledge newsletter.